The fight for full LGBTQ rights is one of the central human rights struggles of our time. 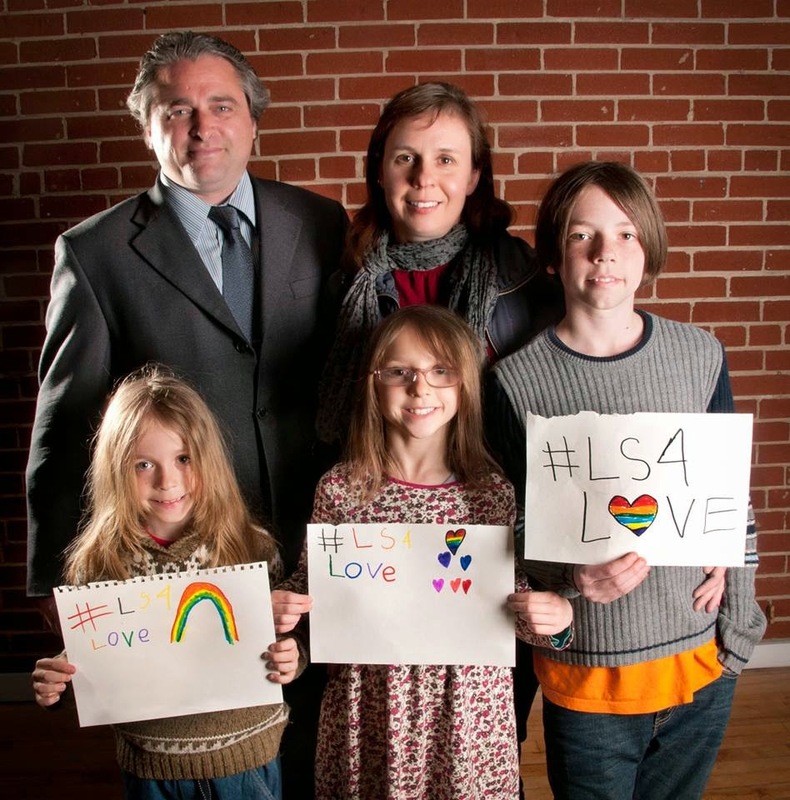 My partner Natalie, my kids and I were proud to to be able to take part in the Lakeshore LGBTQ solidarity initiative #LS4Love recently. To me the fight for equality rights and against intolerance in our own communities, as well as expressing solidarity with the LGBTQ community in countries like Russia and Uganda is one of the central human rights struggles of our time. Initiatives like Lakeshore LGBTQ and Social Action for Equality make our community a better and stronger place through their actions for LGBTQ rights and for human rights locally and around the world. Rob Ford: The misogyny, bigotry & conduct have to end. From: Breaking very bad: Rob Ford's season four finale. Ford has now taken a "leave of absence" from being mayor in name only and from his campaign. 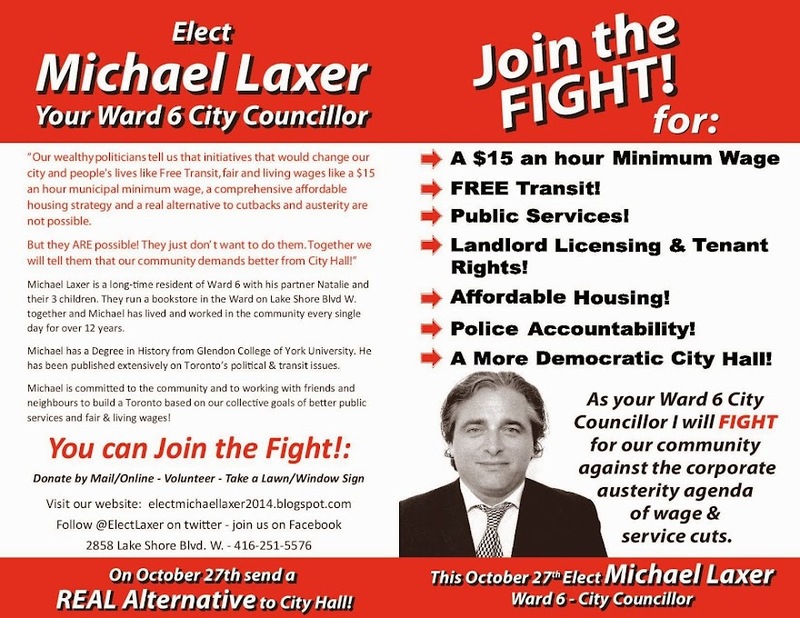 Presumably this is a last ditch effort to try to stay in the race at all. Presumably it seeks to distract, at an early stage, from the appalling behaviour, misconduct and criminal activity. We must ensure that it does not. Quite apart from civic policy, where Rob Ford's agenda is profoundly reactionary, his personal misconduct is a political issue of tremendous import. If a wealthy white male with many political connections is never held to account for misogyny, homophobia, racism, intimidation of opponents, self-admitted criminal activity and obviously outrageous and unacceptable behaviour "on the job" that would get any other worker doing any other job fired, then one has to think that the political and judicial system that we live in now is just as corrupted and compromised as it ever was. Maybe it is. Stepping "aside" to supposedly get "help" is not enough. Ford's conduct is not wrong because he has "problems." It is wrong because of who he is and what he represents. Rehab will not change the fact that he is an abusive bigot. That was what he always was and is intrinsic to not only his politics, but also the politics of those who support and supported him.